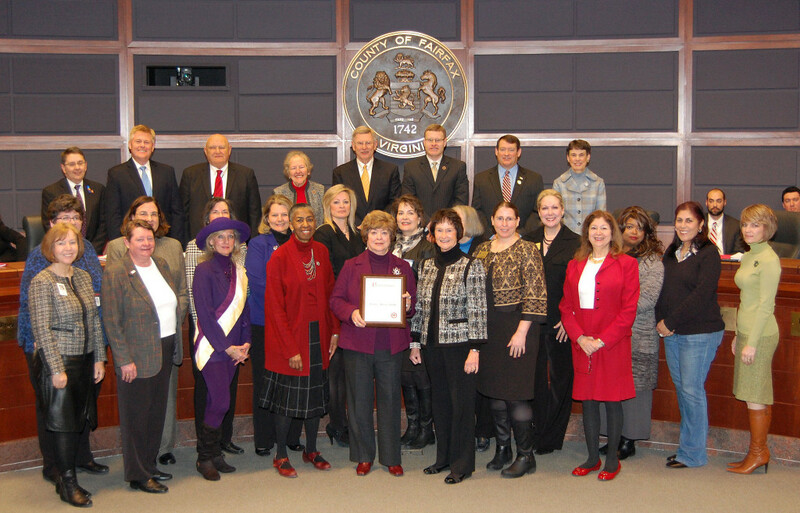 On Tuesday, March 3, the Fairfax County Board of Supervisors honored Edith P. Mayo, Curator Emeritus of Political History at the Smithsonian’s National Museum of American History, during the 2015 Proclamation Ceremony in recognition of Women’s History Month. 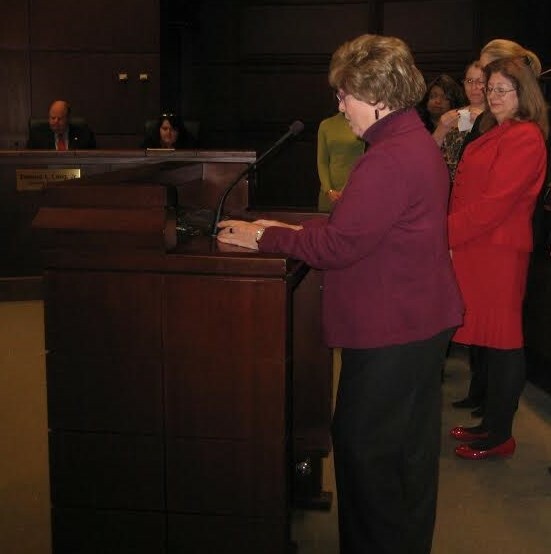 We at TPSMA are thrilled that Edith was selected to receive the proclamation. As stated on our website, Edith has devoted her career to making women’s history accessible to the public, and ensuring that women receive balanced representation. As a curator and historian at the National Museum of American History for over 40 years, Edith designed and managed major exhibitions in political history, women’s history and voting rights. She has authored numerous publications and academic articles, including her books First Ladies: Political Role and Public Image (1995), The Smithsonian’s Book of First Ladies: Their Lives, Times, and Issues (1996), and Presidential Families (2006). She also serves on the TPSMA Honorary Board and as co-chair of the Interpretation and Design Committee that is developing historical content for the memorial’s 19 interactive stations. A complete image gallery is available on the TPSMA website: www.suffragistmemorial.org.